The president was in Bulawayo, Zimbabwe’s second city and an opposition stronghold, to campaign for his Zanu-PF party ahead of the July election. He is favourite to win the poll, but analysts say he also has enemies – both for overthrowing his former mentor, Robert Mugabe, and for being a previous enforcer of the Mugabe regime. The elections are the first in Zimbabwe since Mr Mugabe was forced out after 37 years in power, and the first to be monitored by international observers since 2002. 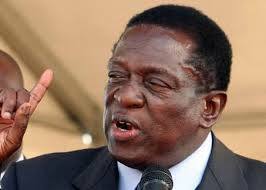 Mr Mnangagwa has said the vote will be free and fair. Campaigning has been dominated by economic issues.